Joseph H Poor lived a short life. He was born in Andover MA in 1808. He married Elizabeth Austin Hooper in 1831 and moved to Portland around that time. He was listed as a dry goods merchant. Interestingly, the Adams 1828 city directory for Portland lists a Henry Poor selling dry goods from a store in Hay Market, now Monument, Square. Henry lived on Hampshire Street. 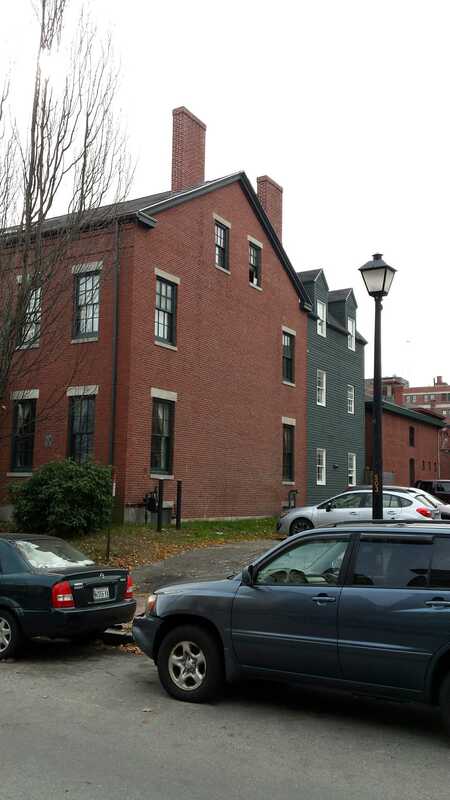 Joseph took a mortgage from Henry, who was living in Boston, and others in 1837. Joseph’s, and his son’s, middle name was Henry. I cannot find a document making a connection but is certainly feasible that they were related and Joseph ‘took over’ the business. Joseph first appears in the Registry of Deeds in 1835 when purchased what is now 84 High Street from Joshua Wingate Jr. He and his family would remain there until they built our subject house about a block away. The house the Poors built is a conservative structure. Built of brick, it’s mostly Federal in plan, massing and fenestration with some Greek details in the extended height of the first floor windows, entry way and just a hint of an entablature on the main facade. 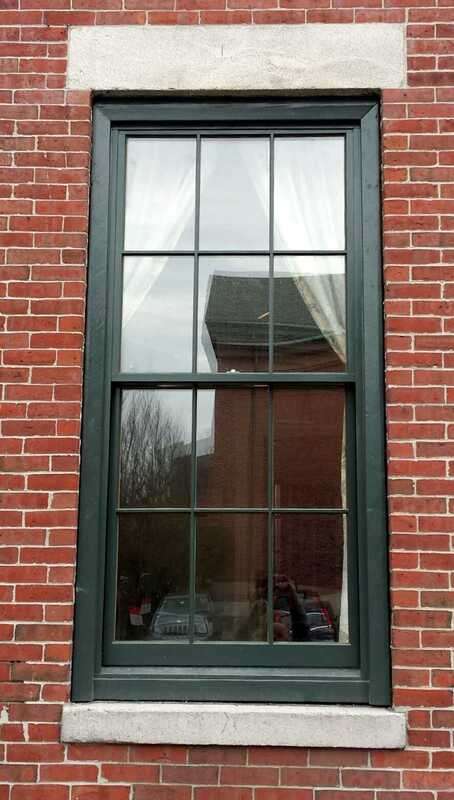 The windows are devoid of trim and have simple granite sills and lintels. The projecting ell at rear is built of wood. It’s gambrel roof is a bit unique for the location and period. 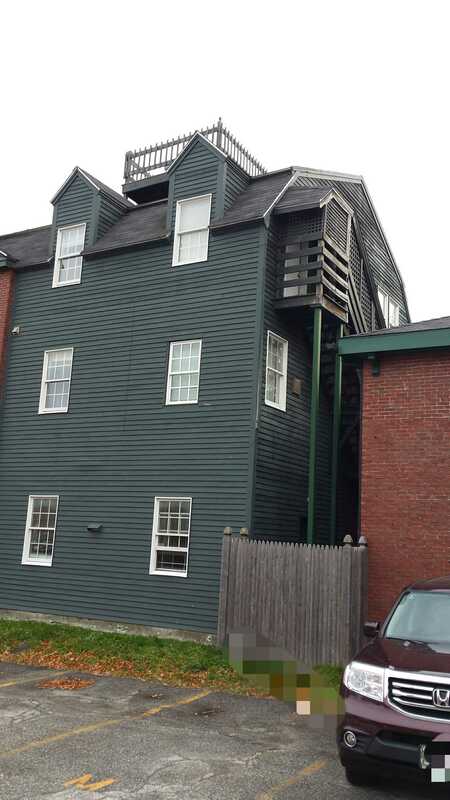 I suspect it was employed to give more headroom on the upper floor. Concurrent with building his own home on Park Street, Joseph Poor teamed up with Horatio N Jose who was the president of the Portland Kerosene Oil company to develop land farther down Park Street. Between 1847 & 1848 they would purchase land just above where Stephen Hall would build his home in 1854. Portland was experiencing a ‘boom’ at the time. Railroads were increasing their coverage. Portland had become the winter port for Canadian goods, both import and export, and the city boasted the most northerly ice free port on the east coast. Industry was increasing and with all this, the demand for housing was becoming acute. Jose and Poor would, along with others, capitalize on this need and build a pair of distinctly greek apartment blocks. 89-91 Park Street. One of two apartment blocks developed by Jose & Poor. 93-95 Park Street. The second apartment block developed by Jose & Poor. Joseph Poor would not live long after he undertook so much building on Park Street. He died in October of 1849 of ‘bilious diarrhea’, known today as Bile acid malabsorption. He was buried in Western Cemetery. Elizabeth and the family would remain at 130 Park until 1851 when it was sold to James M Cummings. James Merrill Cummings was born in Boston in 1810. The son of Jacob and Elizabeth Cummings, he was educated at Phillips Academy and graduated from Bowdoin College in 1830 & from the Bowdoin Medical School in 1834. In 1835 he married Sarah P Hall of Portland. Sarah’s mother lived on the lower section of Park Street and in 1870 was advertising her services as a clairvoyant. James was practicing medicine in Calais at the time of his marriage. He then moved to Nashua NH for a couple of years before moving to Cairo IL in 1839. He then moved to Groton MA in 1842 and back to Portland in 1846. Where he and Sarah lived until 1851 is unknown. 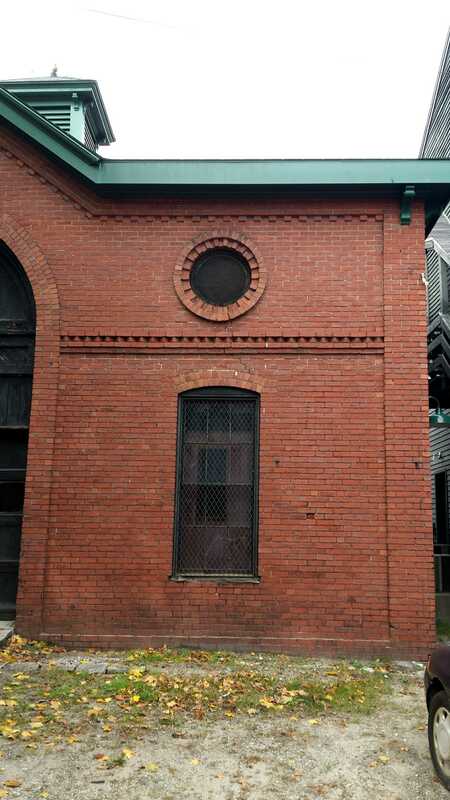 Carriage house at 130 Park Street. Probably built during James Cummings’ ownership. James took on a partner named Rufus Shackford in 1848. Rufus had studied under Cummings while he was in Groton and graduated from Harvard Medical School in 1845. He and James would trade ownership of 130 Park when Cummings sold it to him in 1856 & Shackford sold it back in 1857. James would retain ownership until his death in 1883. Sarah sold the property to William Milliken in 1884. 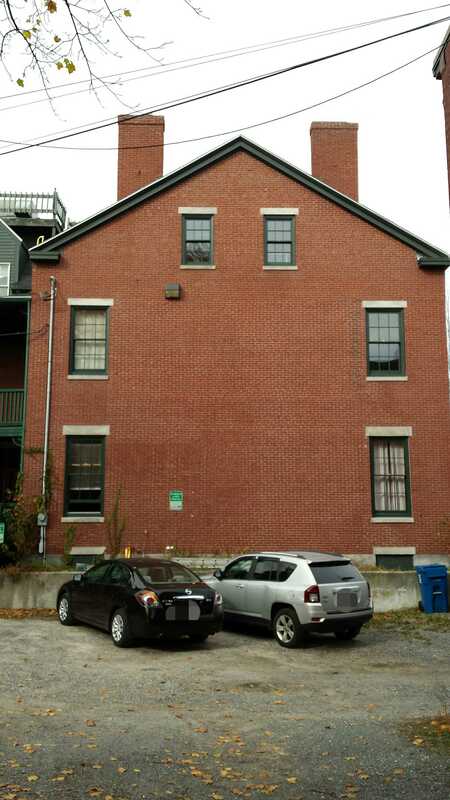 I believe the grand carriage house was built during the Cummings’ era. The carriage house is a beautiful building that, in some ways, outshines the house. 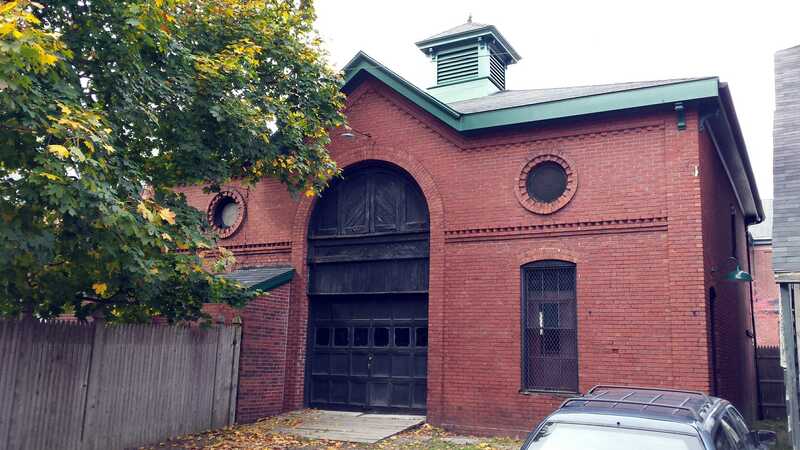 Whereas the house is almost dour in its details, the carriage house is positively exuberant. From the corbeled beltline to the circular window, it shows the hand of a skilled mason. Given the period and details, especially the saw tooth detail of that beltline, I have to consider the likelihood that the masons were the Cunningham brothers. 130 Park Street in 1924. Residence of Frances Burr. Maine Historical Society. William Henry Milliken was a successful dry goods merchant with a large facility on Middle Street when he purchased our subject home in 1884. Born in Poland in 1833, he married Julia Wyman in 1851. Julia was born in Webster Maine in 1826 to a lumber merchant named Gustavus and his wife Julia. William and Julia Milliken had 3 children, Minnie, William and John. William would follow his father in the dry goods trade. 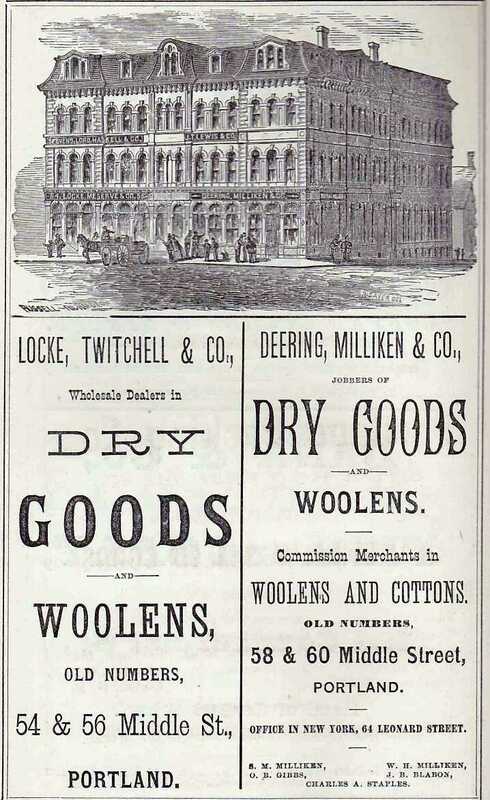 1870 advertisement for Deering Milliken and Co. Image from author’s collection. Prior to, and even more so after, the Great Fire of 1866, Middle Street had become the center of the dry goods trade in Portland and all of Maine south of Augusta to some extent. In those days, the idea of a one stop ‘grocery’ store was just starting to come to fruition. Even then, meats and produce would have been purchased from a separate vendor. It’s worth noting that the modern definition of ‘groceries’ encompasses much of the old dry goods trade. On Middle Street, the wholesale dealers, of which William was one, were primarily on the lower numbered end of Middle whilst the retail establishments were in the upper numbered section around Temple and Exchange Streets. As previously mentioned, the entry is one of the few ‘Grecian’ design details on the house. The house is on a modest table which adds to the effect of height. This detail is more Roman than Greek. The entry itself is recessed and covered with a small portico held up by columns that are square and have rectangular insets. They are capped with simple square composite capitals. Above these is a blank frieze and a strongly projecting cornice. The doors are the most ornate part of the house with raised panels with molding details and molded windows that were probably etched originally. They are surrounded by thin pilasters that mimic the colúmns. 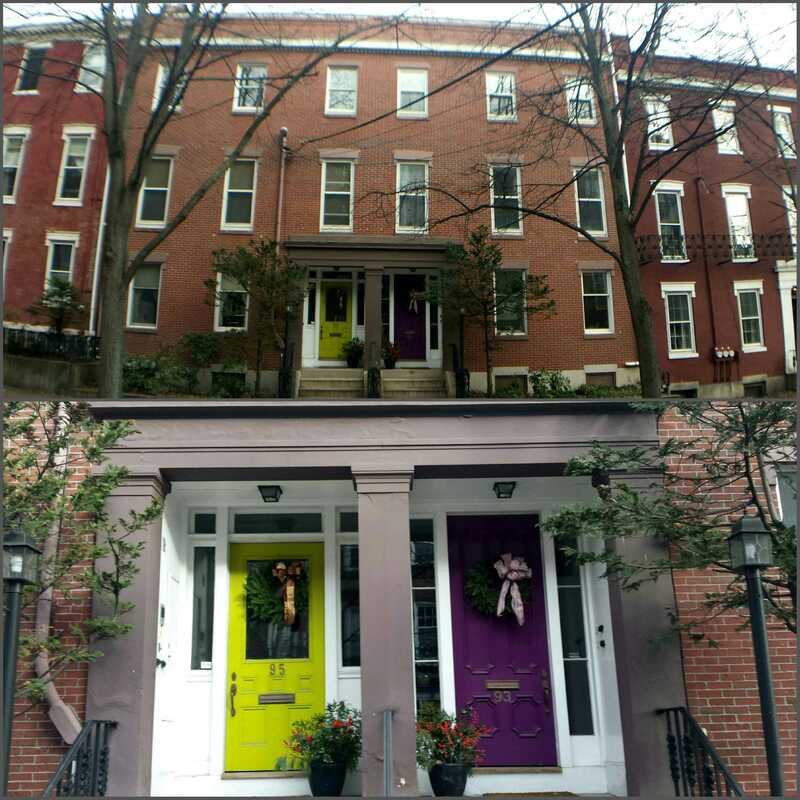 As double doors were not common in the 1840’s, it is likely they are replacements. After William senior’s death in 1890, Julia inherited the property and upon her death in 1895 it was sold to a James H McMullan. Information for McMullan is a bit scant. He was born in Mass in 1847. 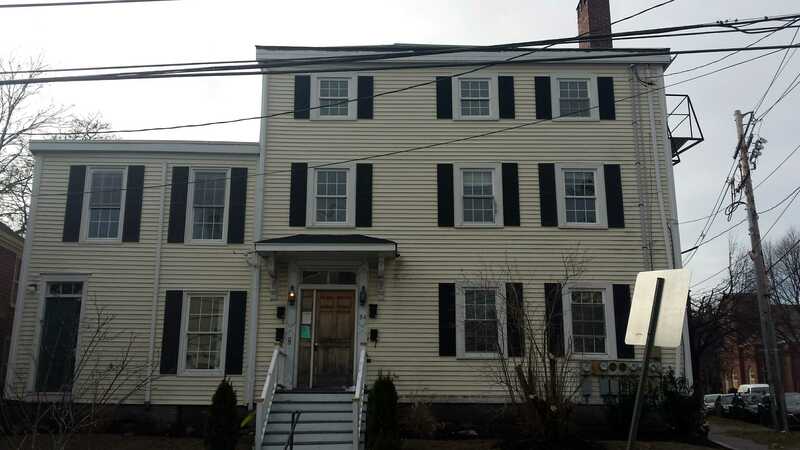 In 1870 he was an agent for a machine shop and was residing with his wife Florence at the Biddeford House Hotel in Biddeford. In 1880 they were living on State Street in Portland. Future census show them living at the same State Street address during the time of their ownership on 130 Park Street. We can surmise they rented out the house. 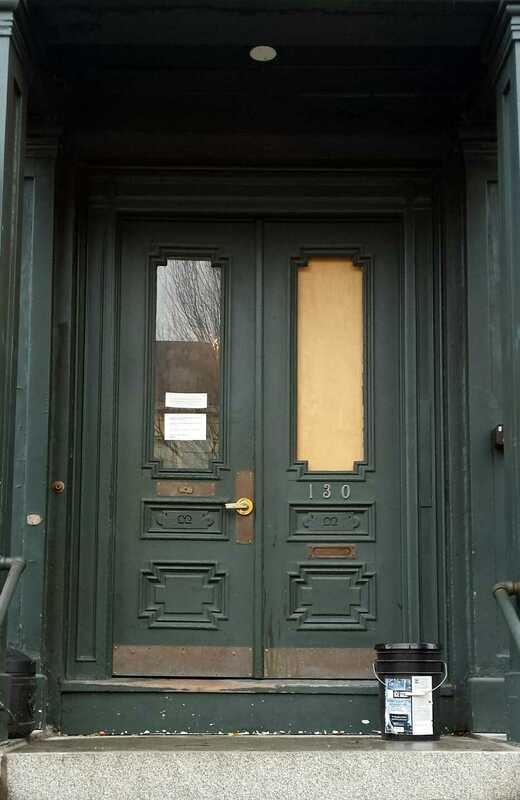 They sold 130 Park Street to Frances B Burr in 1908. 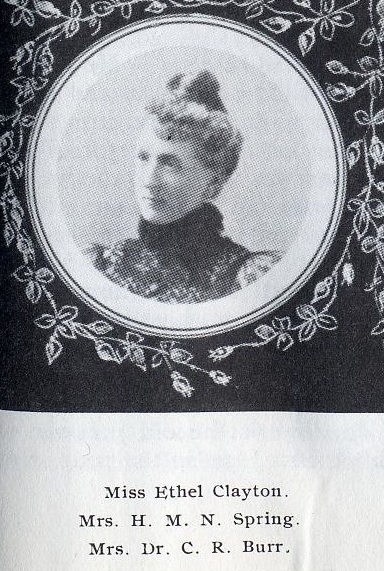 Frances Brewerton Rickette Burr was born in Washington DC in 1866. She married Dr. Chauncey Rea Burr (Another doctor. Am I the only one who sees a pattern here? ), a Portland native, in 1888. 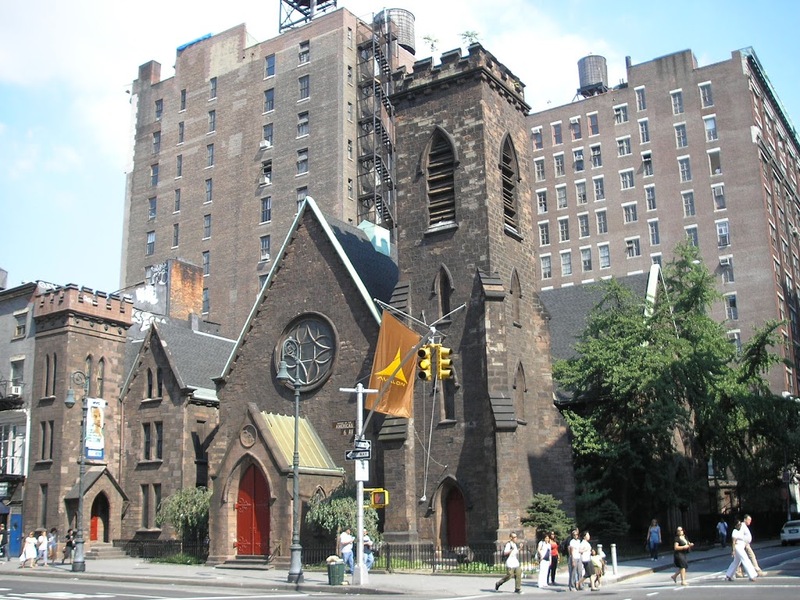 The wedding took place at the Church of Holy Communion in NYC. Chauncey Burr was born to Dr Charles and Sarah Burr in 1862. He graduated from Yale with a biology degree and the Harvard Medical College. He practiced in the Morristown NJ until sometime around 1890. 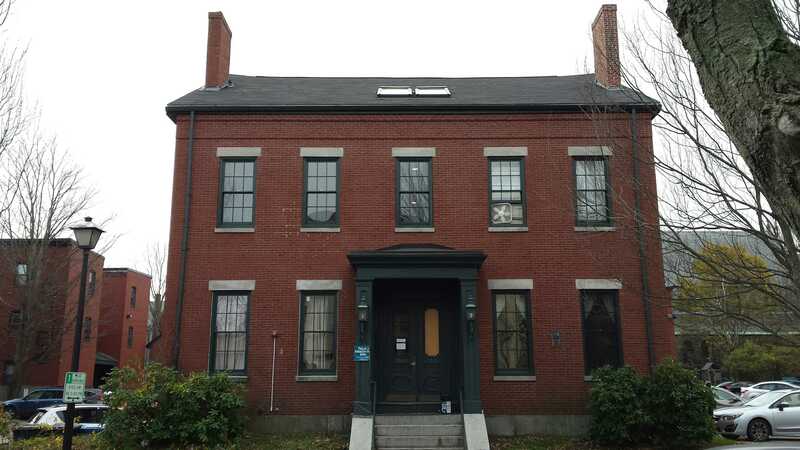 Their first child, Frances, was born there in 1889 & their second child, Gladys, was born in South Portland in 1892. Their and final child, Marguerite, was born in San Francisco in 1894. Chauncey was listed as an allopathic physician practicing in San Jose in 1895. 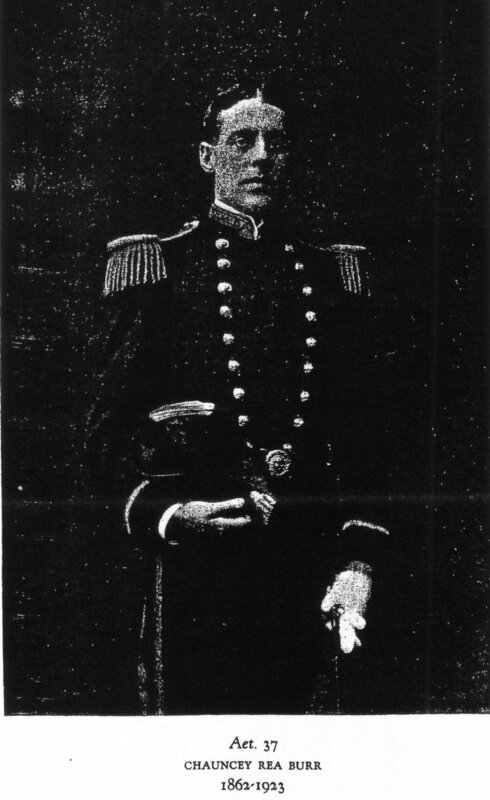 He served in the US Navy as a surgeon during the Spanish American War and resigned in 1901. He was appointed as Examining Surgeon for the US Army Pension Board in 1902 and spoke before a Congressional Committee on the subject of pensions, workmans compensation and ‘the value of a human’ in 1912. Chauncey died in 1923 and Frances in 1946. The property was inherited by Marguerite and Gladys. They sold to an English emigre named Theodore Sweetland in 1950. Sweetland sold to Roland Roy in in 1962. Roy was a Canadian emigre who came to the US in 1927. 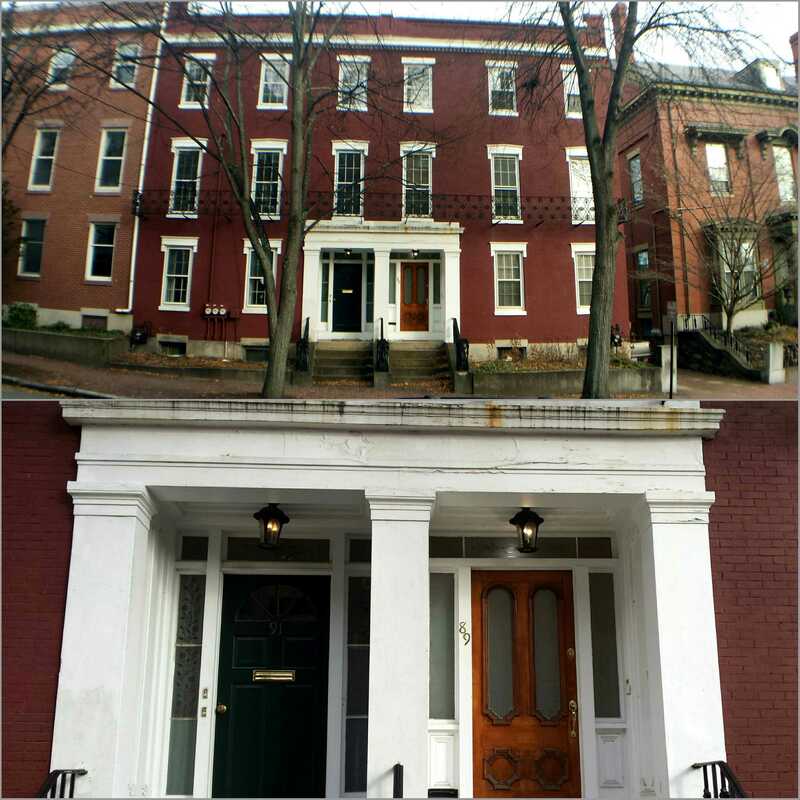 He lived most of his life in Westbrook and appears to have rented 130 Park Street out much like the McMullans had. He sold to Arnold & Jean Hanson of Cape Elizabeth in 1978. The Hansons rented out the house and operated an antiques business, Hanson’s Carriage House Antiques, from the carriage house for many years. When she sold the house in 1985, a year after Arnold’s death, she retained ownership of the carriage house and operated the business there until she opened Two Lights Antiques. Her nephew Per, inherited the carriage house and sold it to a Richard Goldthwaite of Oxford NC who still owns the property. The house was briefly owned by Pam Gleichman before being sold to Shalom House who are the current owners. 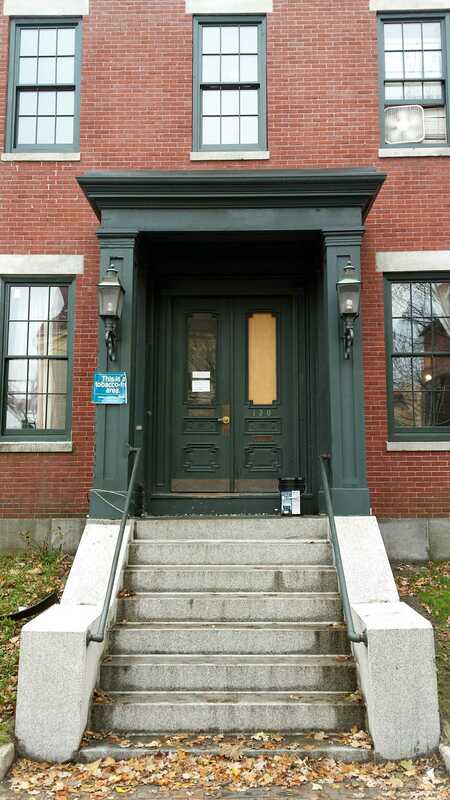 This entry was posted in Architecture, Brick, carriage house, Federal style, Greek Revival, History, Images, Park Street, Then & Now and tagged 19th Century, Architecture, Brick, carriage house, Federal style, Greek Revival, History, images, Maine, Portland, Portland Maine on December 13, 2017 by alewifecove.